I'm a sucker for play-on words and authentic travel experiences. And on my recent visit to the Bay Haven Inn of Cape Charles--I was delighted with both! Their new Shellfie Project is all the rage! 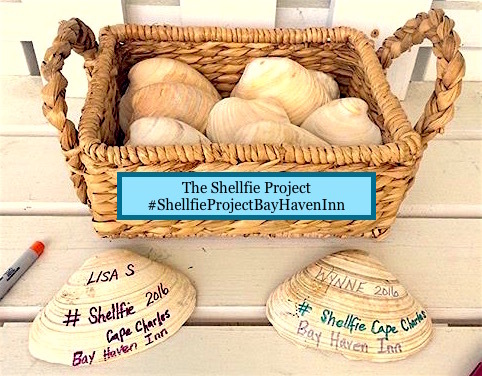 Now introducing "The Shellfie Project"- an interactive station at the Bay Haven Inn of Cape Charles that allowed me to share a memory with my friends and to leave a little piece of myself at the shore. 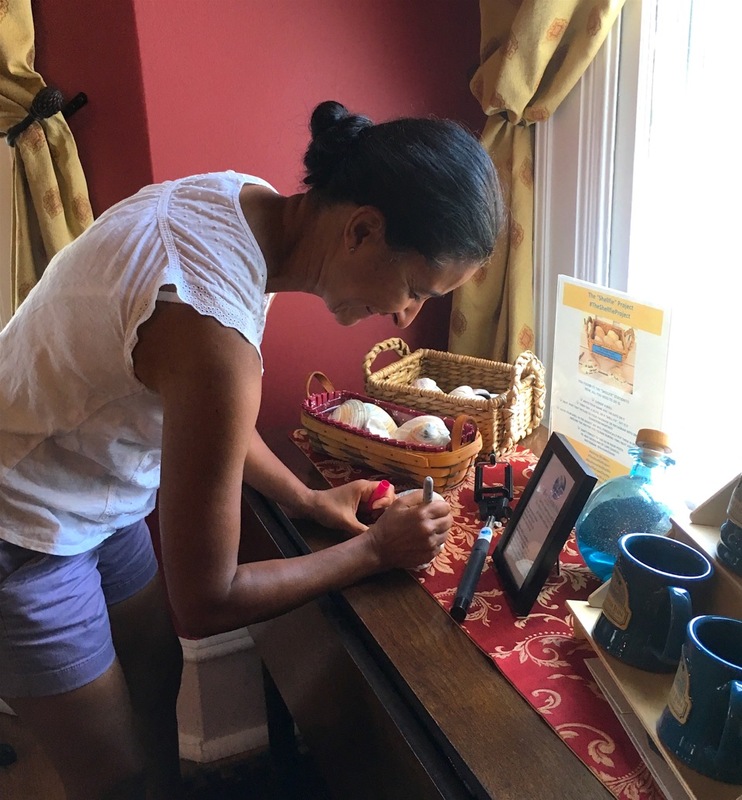 Before I spill the details, I want to share with you why I love the Shellfie Project so much. Bay Haven Inn host guests from all over the world. They love getting to know us, learning about where we are from, and finding out why we are traveling through their neck of the woods. And, I'm not going to lie...the innkeepers do seem a tad bit sad every time they have to tell their guests goodbye. The Shellfie Project allows us to leave a little piece of ourselves with them at the shore. Don't be surprised if the next time you walk by the Bay Haven Inn you spot signed clam shells under the palm tree in the Margarittaville area on the property or adorning the plants on the porch. 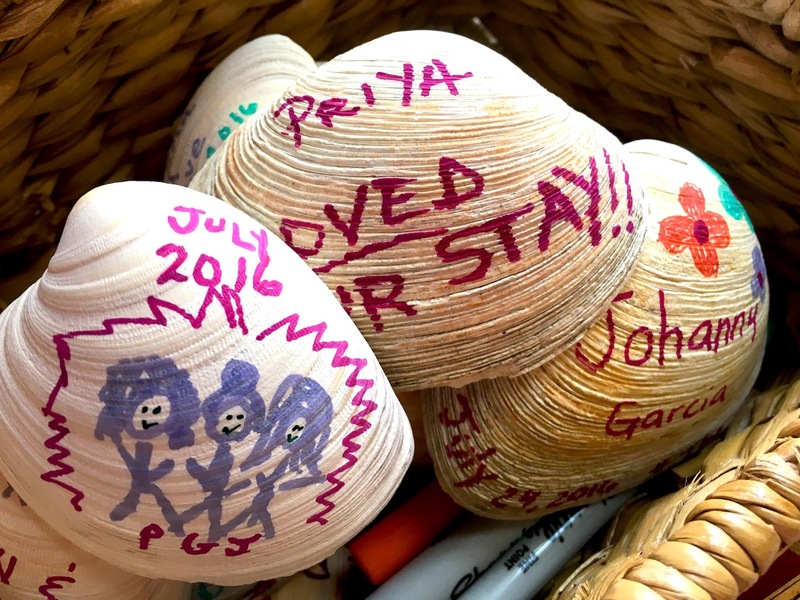 As part of the Shellfie Project, guests sign their names on a shell, take a selfie with their shells, and leave the shell to remind Bay Haven of them. 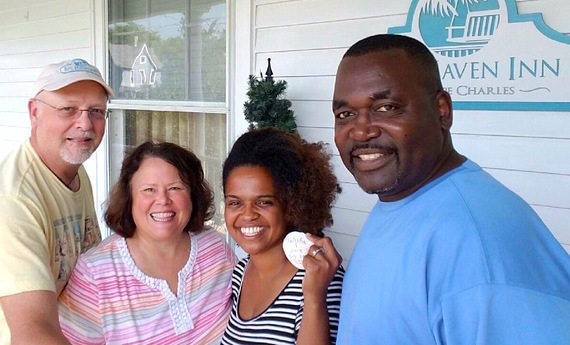 The inn even provides a selfie stick to help guests capture their best Shellfies! One of the most remarkable (and unexpected!) things about this project is that it helps bridge the gap between generations. Grandparents are learning all about selfies--and why the rest of us love them so much--when they use the selfie stick for the first time. The shared smiles and new understanding between generations is enough to make many of the guests take more than one Shellfie!